IHS Markit Ltd (INFO): Are Hedge Funds Right To Be So Bullish On This Stock? Most investors tend to think that hedge funds and other asset managers are worthless, as they cannot beat even simple index fund portfolios. In fact, most people expect hedge funds to compete with and outperform the bull market that we have witnessed over the past few years. However, hedge funds are generally partially hedged and aim at delivering attractive risk-adjusted returns rather than following the ups and downs of equity markets hoping that they will outperform the broader market. Our research shows that hedge funds do have great stock picking skills, so let’s take a glance at the smart money sentiment towards IHS Markit Ltd (NASDAQ:INFO). IHS Markit Ltd (NASDAQ:INFO) was in 30 hedge funds’ portfolios at the end of the third quarter of 2016. INFO investors should pay attention to an increase in hedge fund interest of late. 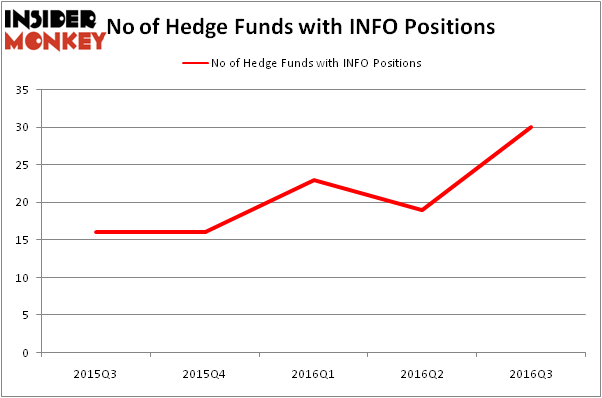 There were 19 hedge funds in our database with INFO positions at the end of the previous quarter. At the end of this article we will also compare INFO to other stocks including Arthur J. Gallagher & Co. (NYSE:AJG), Tractor Supply Company (NASDAQ:TSCO), and Nordstrom, Inc. (NYSE:JWN) to get a better sense of its popularity. Follow Ihs Markit Ltd.Follow Ihs Markit Ltd.
How have hedgies been trading IHS Markit Ltd (NASDAQ:INFO)? At Q3’s end, a total of 30 of the hedge funds tracked by Insider Monkey were long this stock, a 58% surge from one quarter earlier. The graph below displays the number of hedge funds with bullish position in INFO over the last 5 quarters, which shows a solid uptrend. With hedgies’ capital changing hands, there exists an “upper tier” of key hedge fund managers who were boosting their stakes significantly (or already accumulated large positions). When looking at the institutional investors followed by Insider Monkey, John Griffin’s Blue Ridge Capital has the largest position in IHS Markit Ltd (NASDAQ:INFO), worth close to $218.7 million, accounting for 2.6% of its total 13F portfolio. Coming in second is Brahman Capital, led by Peter Adam Hochfelder, which holds a $214.6 million position; the fund has 7.5% of its 13F portfolio invested in the stock. 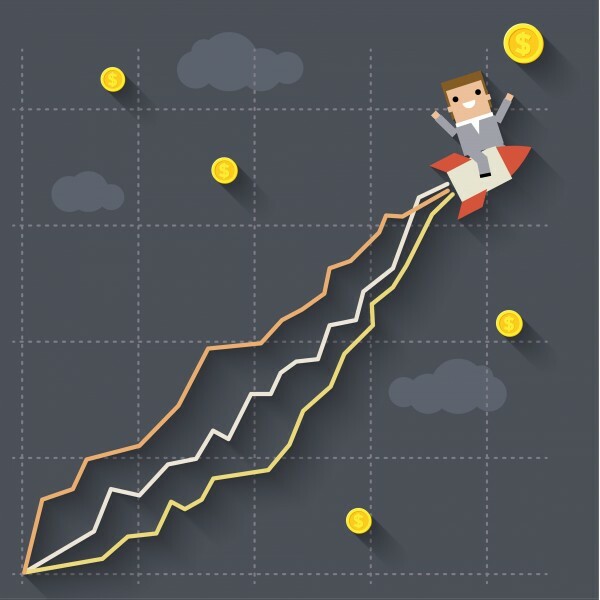 Other members of the smart money that are bullish contain Doug Silverman and Alexander Klabin’s Senator Investment Group, Farallon Capital, and Robert Joseph Caruso’s Select Equity Group. We should note that none of these hedge funds are among our list of the 100 best performing hedge funds which is based on the performance of their 13F long positions in non-microcap stocks.